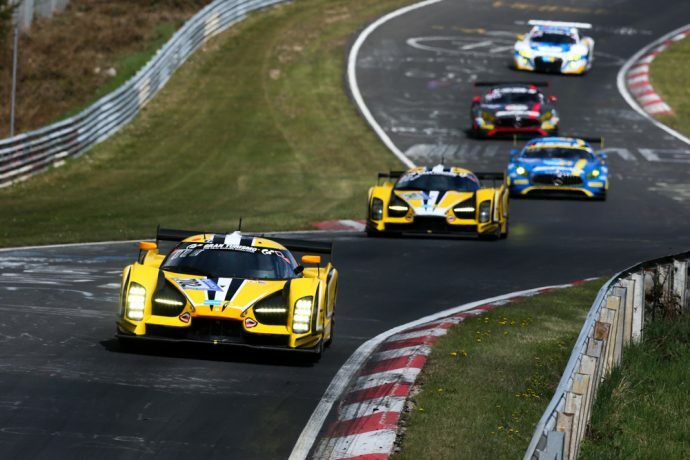 But only after late race stumble for Glickenhaus! 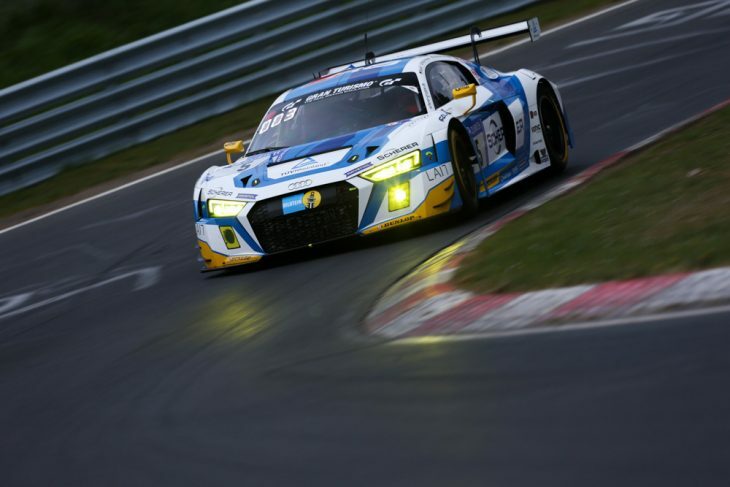 The #5 Phoenix Racing Audi R8 LMS of Mike Rockenfeller, Nicolay Moeller Madsen & Dennis Busch claimed the win at the ADAC Nürburgring 24 Qualification Race over six hours around the 24 Hour course, but only after late race dramas snatched the lead away from what could have been a shock winner! 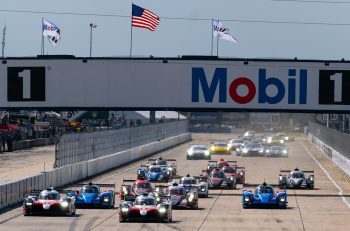 With several top teams opting to run the event at least in part as an extended tyre testing opportunity the way was open for a possible surprise and the #702 Scuderia Cameron Glickenhaus SCG003C almost provided it, leading the race into the last half hour at an event that it was always in the hunt for honours until a a late-race off at Aremberg for Felipe Fernandez Lazer, the car into the gravel with a reported brake issue, an opportunity lost after the team had played the strategy game well, with the car fuelled to the finish. 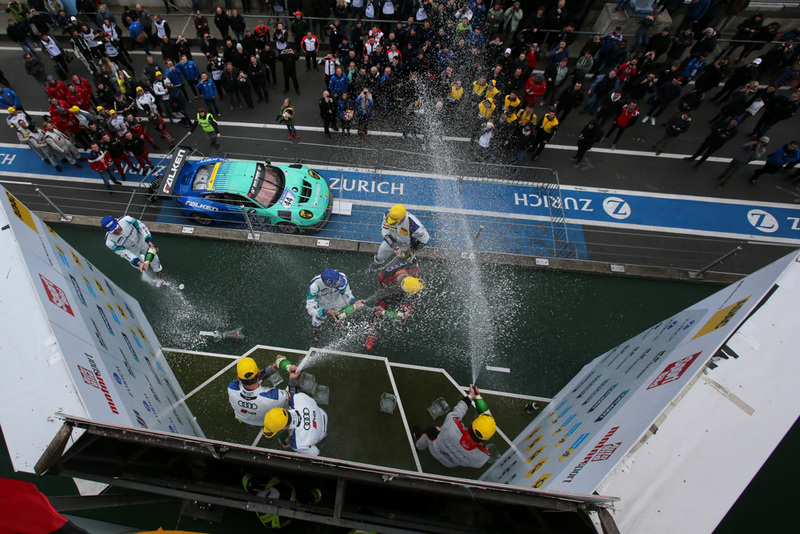 That saw the #5 Audi, which had won the battle of the final pit stops and emerged in second place, up into the lead almost immediately with the #9 WRT entered Audi of Nico Müller and Frederic Vervisch coming home second just ahead of the hard charging #44 Falken Porsche of Jorg Bergmeister and Dirk Werner. 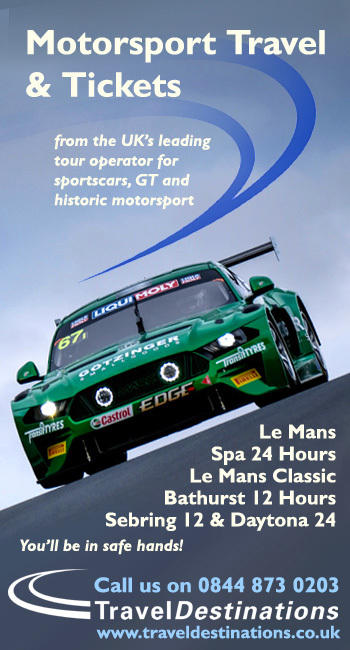 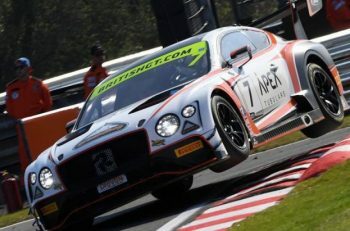 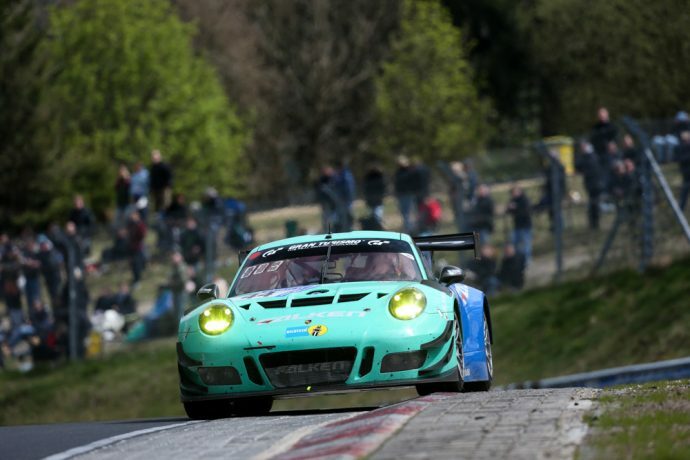 The late Falken run to the flag saw the Porsche pass the third Audi, the #28 Land Motorsport entered car coming home fourth, Black Falcon’s #3 Mercedes AMG finishing fifth, this five scoring an automatic place in the top 30 shootout for next month’s 24 Hours.